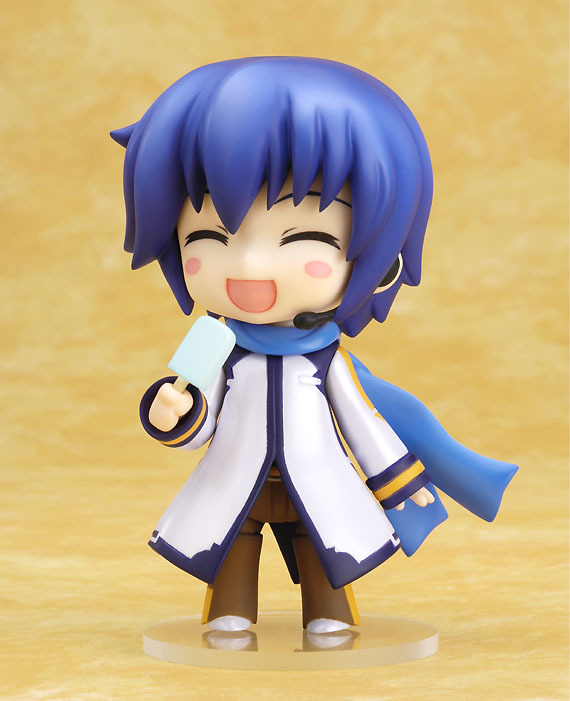 From the Character Vocal Series, comes a Nendoroid of KAITO, the predecessor of the popular Hatsune Miku. 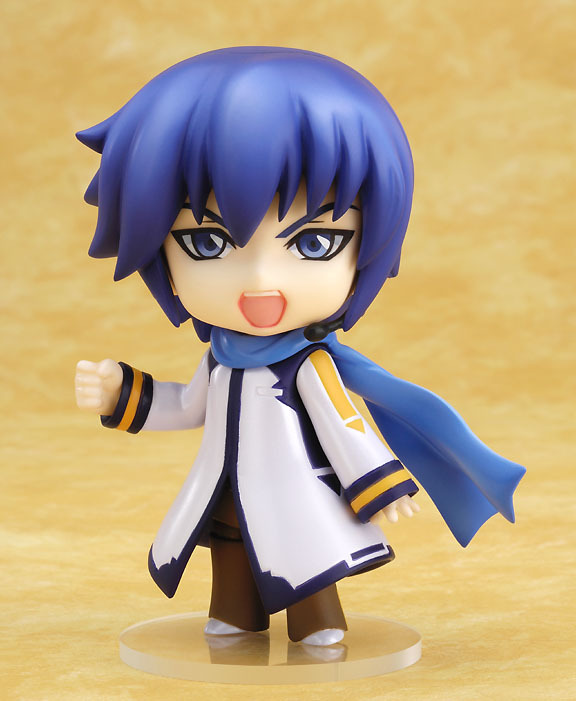 Keeping the official original illustration in mind, this Nendoroid version has been brought to life - his muffler fluttering in the wind, and his well known pose faithfully recreated in Nendoroid form. Various extras are included such as an ice-cream and interchangeable faces, as well as other small accessories that fans will love. 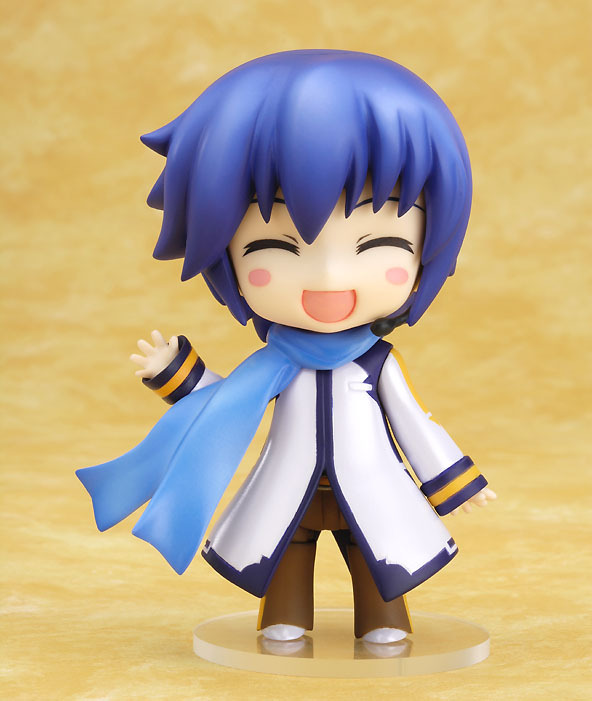 Experience the capacious charm of KAITO’s various faces for yourself! 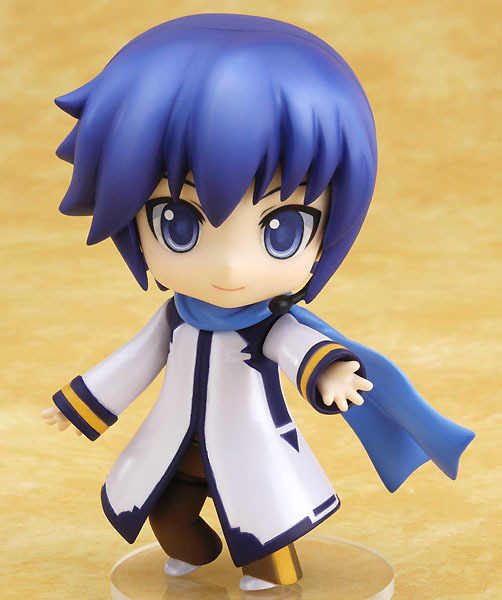 Sculpted by Yukiwo Ageta (Max Factory), Nendoroid Kaito is expected for a February 2009 release. He will retail for 3,000 Yen ($32~ USD).